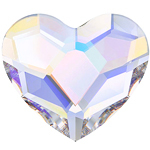 Swarovski 2808 Hearts are multi faceted. 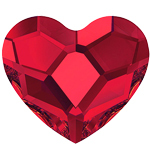 A romantic shape so you can share the love. 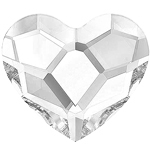 The heart has a flat back and is silver foiled for extra reflection. 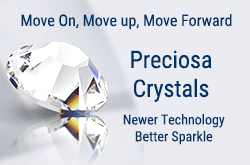 It can be incorporated in many designs adding dimension. 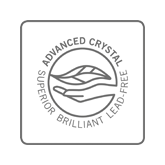 Great for jewelry pieces, accessories and fashion. Rhinestone shapes are great for added style and sparkle. 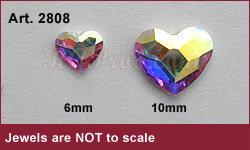 Swarovski 2808 Heart are available in 6mm and 10mm in colors as shown. 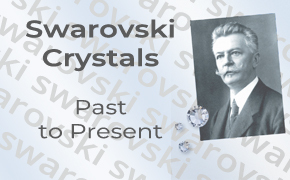 Swarovski 2805 Heart stones are made of "Advanced Crystal" and are lead free and compliant with international standards.